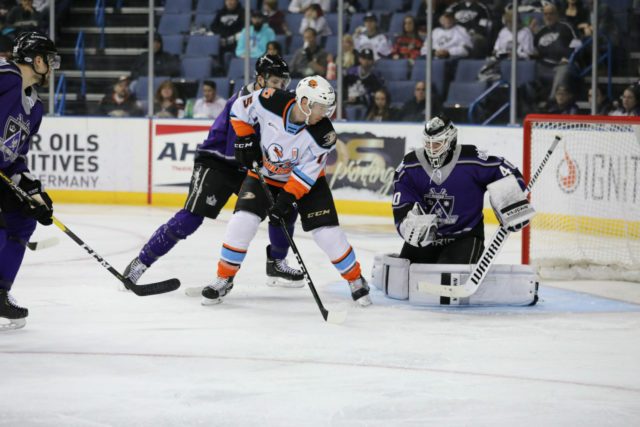 The Ontario Reign, donning the purple sweaters of Kings past, battled hard but fell 6-4 against the San Diego Gulls on Friday evening at Citizens Business Bank Arena. 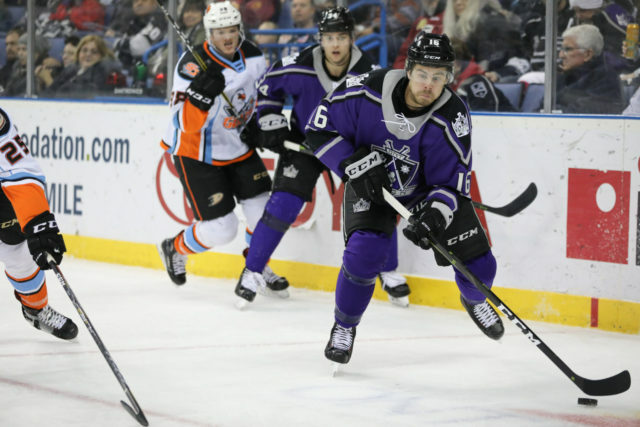 The forward line of Matt Moulson (2G, 1A), Philippe Maillet (1G, 1A) and Carl Grundstrom (1A) netted three of the four goals for the Reign, the second game in a row that the unit has combined for three goals. After falling behind 2-0 just over four minutes into the game, Ontario stormed back with three straight goals, staring with Moulson’s first of the evening with exactly 60 seconds to play in the first period. Grundstrom went in on the forecheck and separated the man from the puck in the corner, while Maillet read the play and picked up the loose puck. The second-year center then fed Moulson in the high slot, where he beat San Diego goaltender Jeff Glass high on the blocker side. 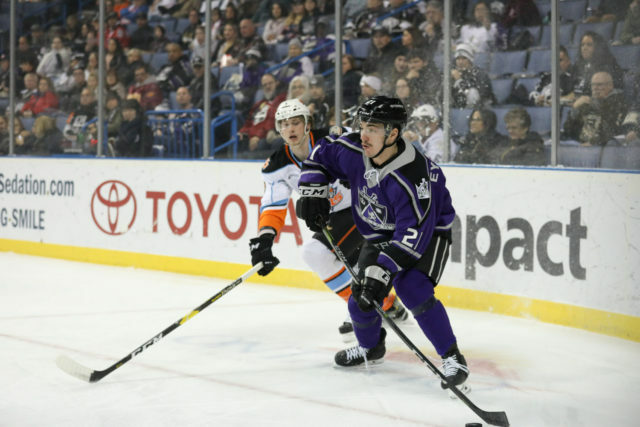 The play was one of the best hockey goals the Reign have scored this season, with each of the three forwards doing their job on an effective forecheck. Maillet and Moulson scored 40 seconds apart early in the second period to put Ontario ahead by a goal, before Max Jones tied the game midway through the middle stanza. San Diego put the game away in the third with a trio goals, including their fifth and sixth tallies less than two minutes apart in the latter stages of the game. Forward Boko Imama pulled a late goal back for Ontario with a wrist shot down the left wing for his third goal of the season. 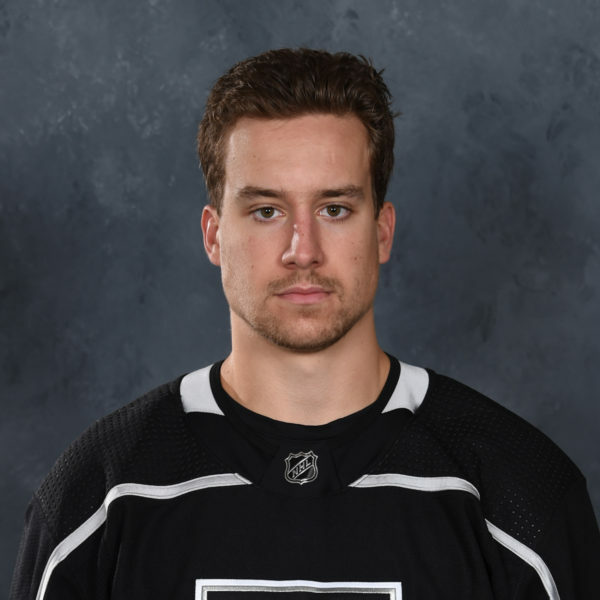 The Reign were without Matt Luff tonight, who was assigned to the Reign earlier in the day, but the winger did not make it in time for the game. 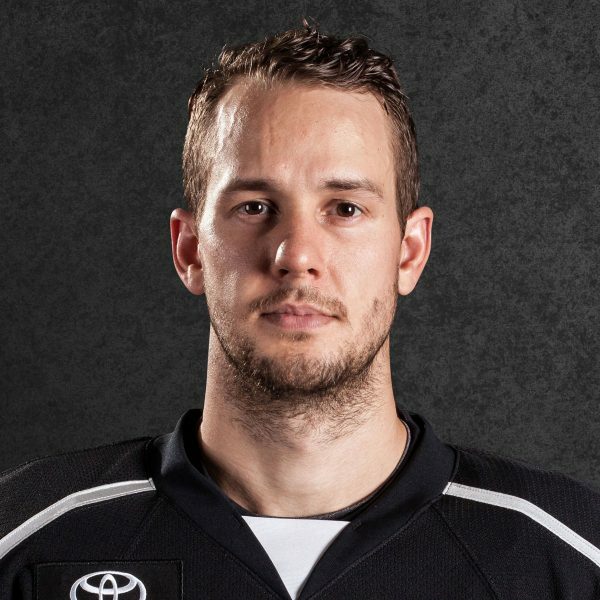 Mike Stothers joked after the game that he had Luff on the gamesheet even though he knew he wasn’t going to make it…..”even if he had just shown up for the third we would’ve just thrown him in.” Assuming nothing changes at the NHL level, expect Luff to be in the lineup on Sunday against San Jose. 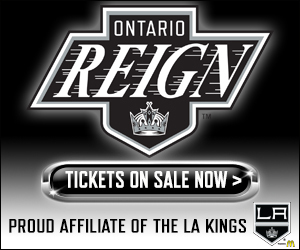 After a practice day tomorrow, the Reign are back in action on Sunday afternoon against the San Jose Bararcuda on home ice, with puck drop slated for a special 1 PM start time at the CBBA. Obviously not [the outcome we wanted]. We come in every game looking for a win and we believe if we play our game, we give ourselves a chance every night. Sometimes we put ourselves down early, a 2-0 deficit in the first was hard, but I thought we battled hard coming back. We had a chance in the third period, we just couldn’t pull it off. It’s been a roller coaster season so far. Every time we get a win, everyone’s feeling good, especially when we win against San Diego, in San Diego. We all felt pretty good today and I thought we played pretty well. We had a few lapses, but for the most part, I liked the way we played. I think it was just a couple of breakdowns here and there, a couple of long shifts. We started shorthanded, one thing led to another and things like that can add up. I’m more comfortable with the guys, I knew a lot more of the guys this year than I did coming in last year. I guess I’m just trying to have more fun with it all, enjoy my teammates more and I think that translates on the ice as well. I think it’s starting to feel pretty good. I’m starting to feel comfortable with my linemates and stuff like that, so I’m on the right way for sure. Yeah I think that’s a part of my game, to work hard on the forecheck and make plays, make space for guys like Moulson. I think so. I think it’s a good opportunity for me personally. I’m really excited. Well, we had a familiar scenario in our own end. Missed assignments and San Diego is too good at taking advantage of mental lapses or breakdowns positionally and they got some great opportunities. They’re going to find the back of the net, that’s what they do. We’ve got to just keep drilling into details and be a little bit more accountable in our own end. That’s exactly the way it should be. That’s how you create offense. 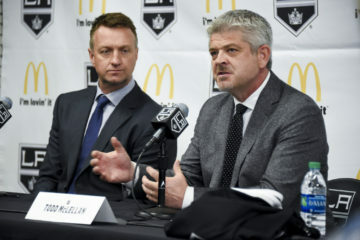 You get in on the forecheck, you make contact, you separate him from the puck and try to get the puck back to the netfront, it was great. We had some real good examples of it the other night in San Diego as well. Grundy’s been good for us, he’s not shy about playing the body, he plays a hard, heavy game. Right now, that line’s playing extremely well and hopefully that will continue. I think he’s been a little bit quieter. I wouldn’t say I’m disappointed in him but we’re expecting more, with the production that he can provide. It hasn’t really been showing up in the points department, but I think that’s when you experiment and tinker around a little bit. 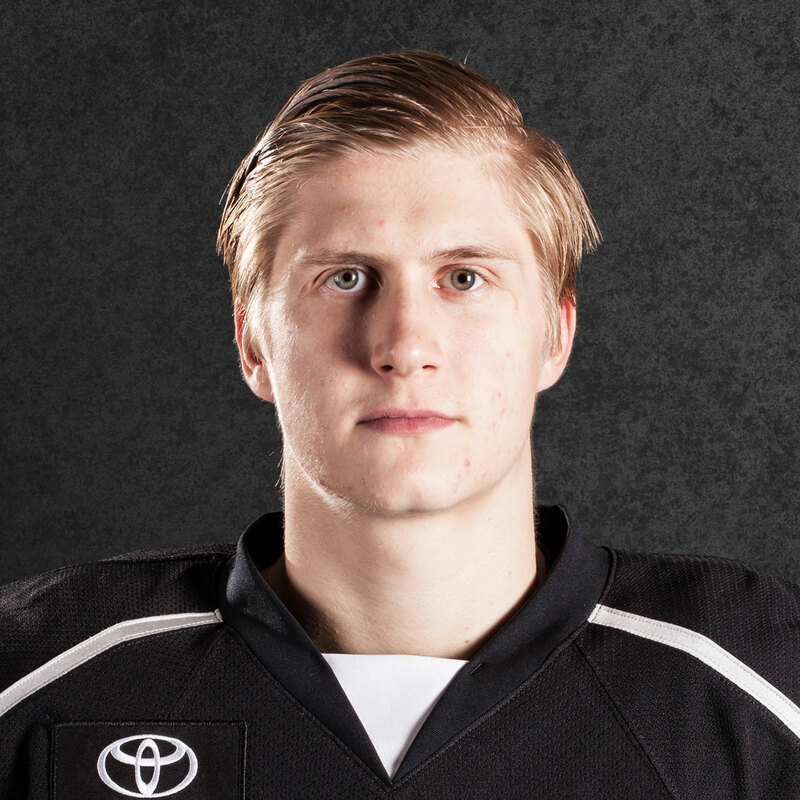 Now you’ve got Grundstrom in, Scherbak in, Luffer’s coming back, so it’s just a matter of finding where everybody’s the best fit. In a normal situation, you say Luffer goes back with Maillet and Moulson, but that line’s been pretty good with Grundy there, so Luffer might have to play on the fourth line. You know, just because it’s reported that he’s coming back, I’m not even sure he’ll be here tomorrow for practice. The way things go, he could be getting back on a plane and going in another direction. I will welcome Luffer back. I’m disappointed for him, in the fact that he hasn’t gotten the chance to play up there in a little bit. It will probably be good for him to come down, much the same as Amadio did. 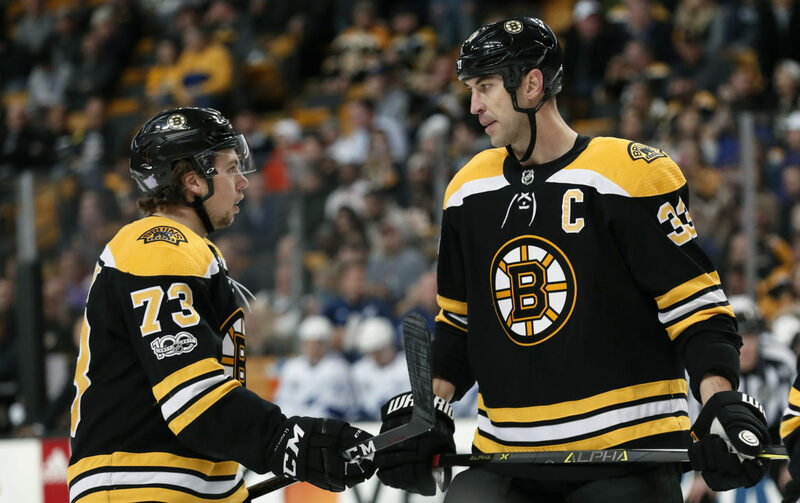 I think the biggest thing for our guys…Mads isn’t even going on the trip, Thompson gets sick, Mads goes, an opportunity presents itself, he makes the most of it, now he’s playing a lot. It’s good for us down here, that’s the way it’s supposed to be. 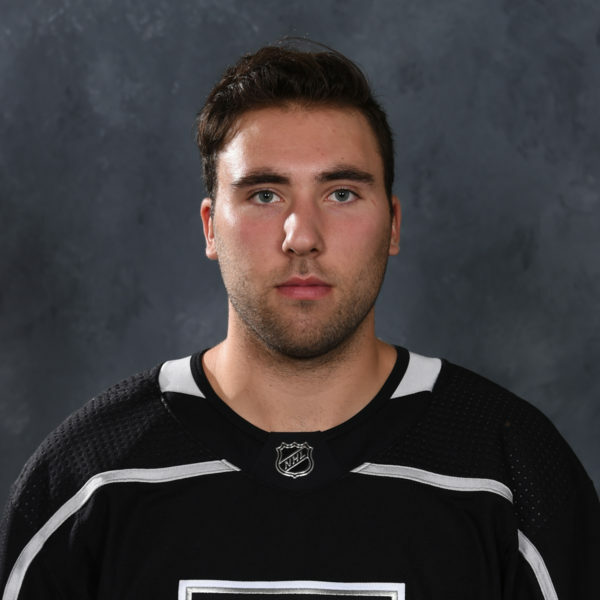 We keep telling them, you’ve got to take advantage of your opportunities, good on Amadio. He’s now making the plays that we see here and now “okay Mike, you’ve got to do it up there,” so good on him. I think it’s good for everybody. It’s like, okay, you know what, there’s work to be done and if you do the work, you’ll get rewarded. Maybe Luffer got a little quiet up there with point production, maybe there wasn’t a lot happening when he was on the ice. Come back, get your game and who knows, come back up.